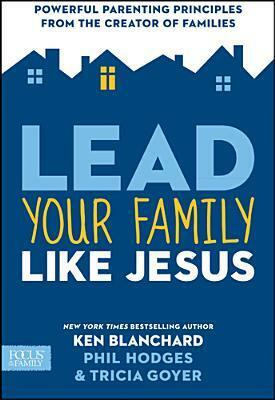 Lead Your Family Like Jesus by Ken Blanchard, Tricia Goyer, and Phil Hodges is a great book that gives perspective on parenting and the family as a whole. This book actually surprised me and I really enjoyed reading it. I do not have children but the advice that these three people give made me think back to my own childhood and what I would want with my own kids. In one chapter Tricia was talking about her attitude with her kids. She states that she was always busy running them around to do so many things but being so stressed it made her grumpy. Would her kids remember the piano lessons or her attitude and anger later on down the road? Think about it. What do you remember from your childhood? The exciting pool party or the fight going on between parents on the way to and from the party? Ken, Tricia, and Phil all include personal side stories for examples on how to create a better family atmosphere and often they list things that are important with bullet points. This is a great book and I highly recommend to anyone who has kids or who is planning to have some! "I received this book for free from Litfuse in exchange for an honest review". Celebrate the release of Lead Your Family Like Jesus with Tricia by entering her iPad Mini Giveaway and RSVPing for the Lead, Momma Lead LIVE Webcast Event (with MomLife Today's Tracey Eyster) on April 16th. Enter today by clicking one of the icons below. But hurry, the giveaway ends on April 15th. Winner will be announced at the "Lead, Momma Lead" Live Webcast Event on April 16th. Connect with authors and everyday moms, Tricia Goyer and Tracey Eyster, for an evening of sharing and perspective-changing encouragement for leading your family. Tricia and Tracey will also be taking questions from the audience and giving away books and fun gift certificates throughout the evening.